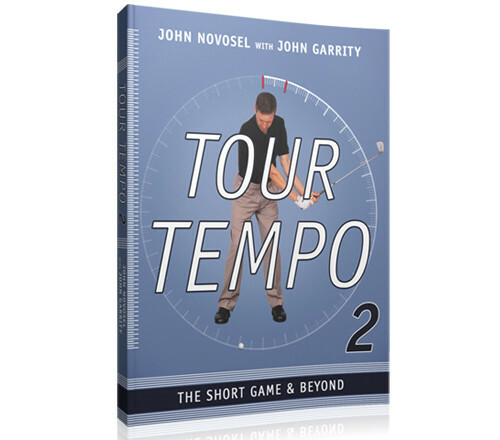 TOUR TEMPO 2: THE SHORT GAME & BEYOND applies John Novosel’s revolutionary golf swing tempo theory to the so-called “scoring shots” — the putts, chips and pitches from 60 yards or less that make up the majority of strokes played in a round of golf. The full swing is explored in several chapters that pick up where the first book left off, including a cutting edge revelation – about how you can combine Physics and Tour Tempo to achieve a consistently powerful golf swing that you might never have thought possible! In addition, TOUR TEMPO 2 includes a download link to the new short-game tones and instructional videos that explain exactly how to incorporate them into your golf game. Simply by practicing to the short-game tones, the weekend golfer can master the correct rhythm in minutes.